Just like other electric appliances, the water heater also consumes the energy differently. There are those that consume more and others less. 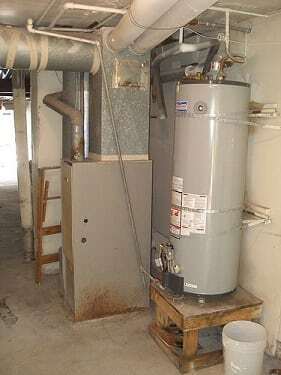 This could be as a result of other contributing factors such as the quality of the water heater, and the seller. As such, find out more about water heaters before you select one. Find out the various qualities manufactured and their varying prices. Also, investigate more about the various selling points for the water heaters to know the prices sold. All this information will help you buy a water heater that is of good quality, consumes less energy, and at a fair price. Remember that your water heater is for the business purpose, meaning that it could be put into various uses that could result to increased electricity bills. Therefore, select a water heater that will be more economical. There are a variety of water heaters available in the market. There is the solar water heater that uses the energy from the sun to heat water. It is energy efficient. The storage water heater is the most common type. It stores hot water within its reservoir ready for immediate use. There is also the tankless water heater, it is smaller than the storage heater and usually operates by heating water when needed thus energy efficient. Finally, there is the heat pump water heater. It operates by transferring heat from one place to another in order to warm the water. Those are the common types of water heaters available in the market. In order to purchase one, you need to consider why your business needs one, the type of business you are running, and the size of the business. All these factors will help you know if you should go for a small size heater, an energy saving, or a fast operating water heater. Water heaters run on a variety of fuels. However, you need to be careful while selecting the suitable fuel for your appliance. Mainly, your resources will determine the type of fuel you will be using because fuel is a bit costly. Therefore, you need to find out more about the fuel types available, their pros and cons, and effects so that you know which to choose. You can seek more assistance from the local energy bureau to find out more about the local fuels. Solar energy is easily available and the most popular, especially in very sunny areas. Natural gas and electricity, fuels are also easily accessible and may be used with a heat pump, storage heater, and the tankless water heater. Oil and propane fuels are as well important, though rarely used. Finally, do not forget to consider the maintenance of your water heater. If you want it to be durable and long lasting, you need to ensure a regular maintenance checkup by an experienced plumber. Remember, regular maintenance also prevents any unseen accidents.